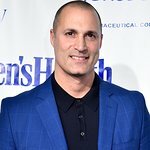 Oceana, the largest international advocacy organization focused solely on ocean conservation, will host the 3rd Annual Nautica Oceana Beach House event leading up to World Oceans Day with leading global lifestyle brand and proud corporate sponsor, Nautica, and LA Confidential Magazine. 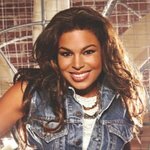 Featuring a performance by Jordin Sparks, the event will be hosted by Jenna Ushkowitz (Glee) and Reid Scott (Veep). Guests include Christina Milian, Kevin McHale (Glee), Ross Lynch and entire R5 Band, Harry Shum Jr. (Glee), Angela Kinsey, Drake Bell, Scott Michael Foster (Once Upon A Time), Madchen Amick (Twin Peaks reboot), Jorja Fox (CSI), Jade Roper (The Bachelor), cast of Hulu’s East Los High, Katy Perry’s Left Shark from the 2015 Superbowl Halftime show and more. Nautica Oceana Beach House is receiving generous support from Lagunitas Brewing Company, Truvee and Stellina di Notte Prosecco.